Patek Amp is my flagship creation and it was my answer to 47Labs Gaincard. 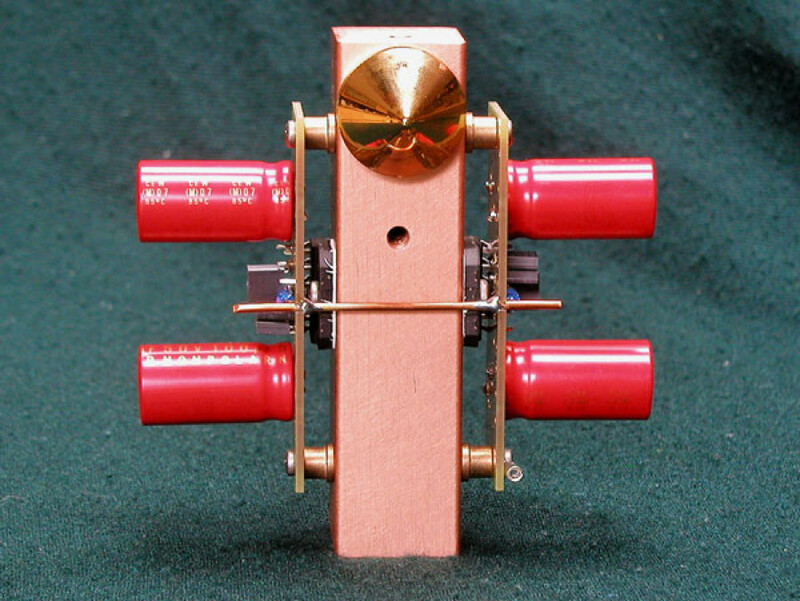 While I was criticized initially for copying Gaincard chassis, I decided to come up with something more original, reflecting my personal thinking of how simply an amp can be built. Since I wanted it to be a thing of timeless beauty and I was building it by hand, an analogy to Swiss time piece came up and hence the name Patek. The build of the amplifier starts with a slab of copper. 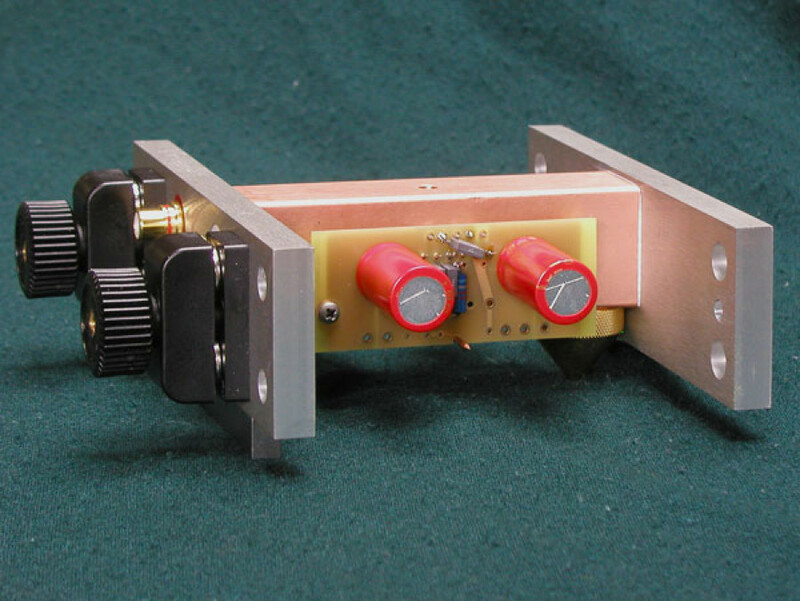 All the components of the amp are attached there. 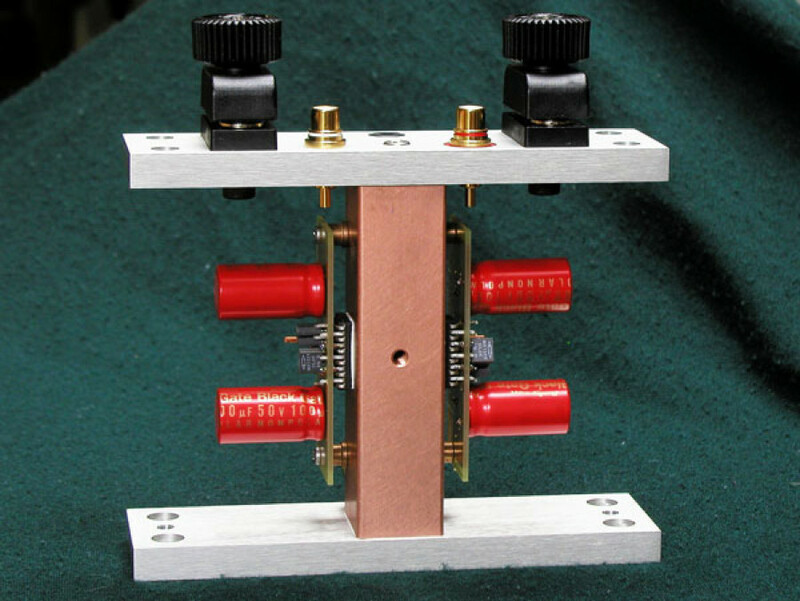 Small pcb are installed on both sides with a thick copper wire acting as power ground bridge between both amp channels. The LM3875 chips are selected for minimum DC offset and are squeezed between copper block and pcbs. All the resistors are chosen for best sonic signature and signal path is minimized. 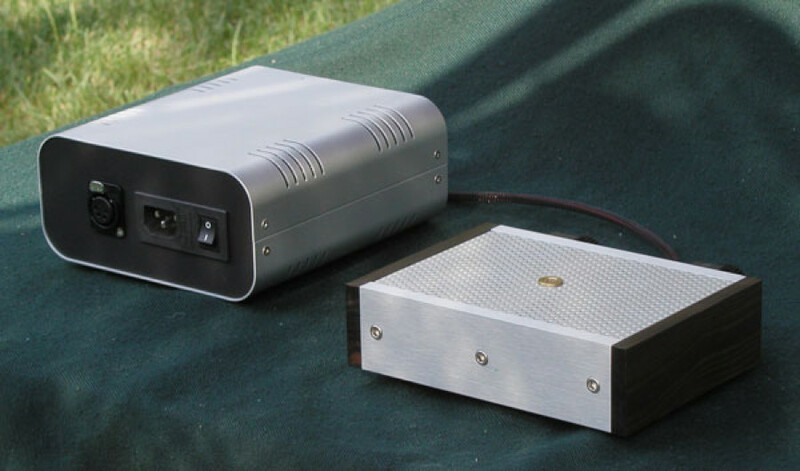 Two aluminum panels act as additional heat dissipation elements. They are not much taller than the size of Cardas Patented Binding Posts. 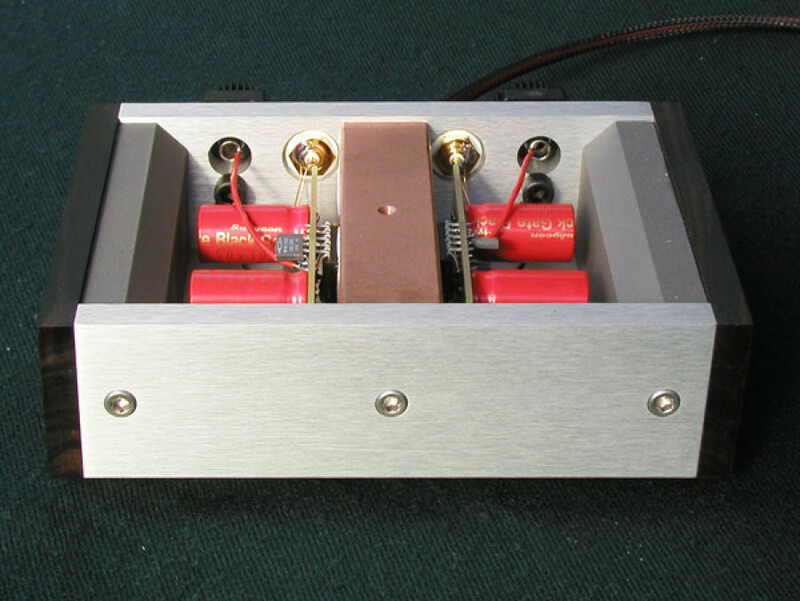 Black Gate Type N 100uF capacitors sit directly at the op-amps. 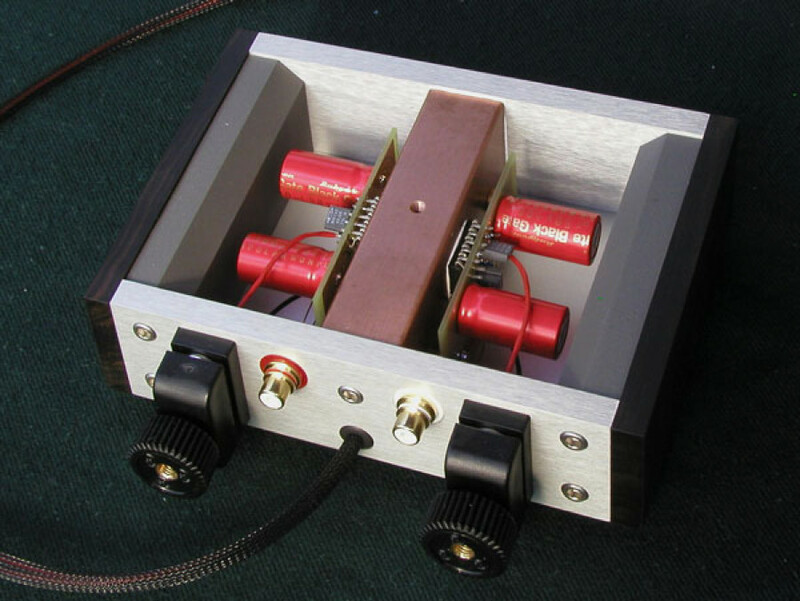 More capacitance is added in a power supply enclosure. 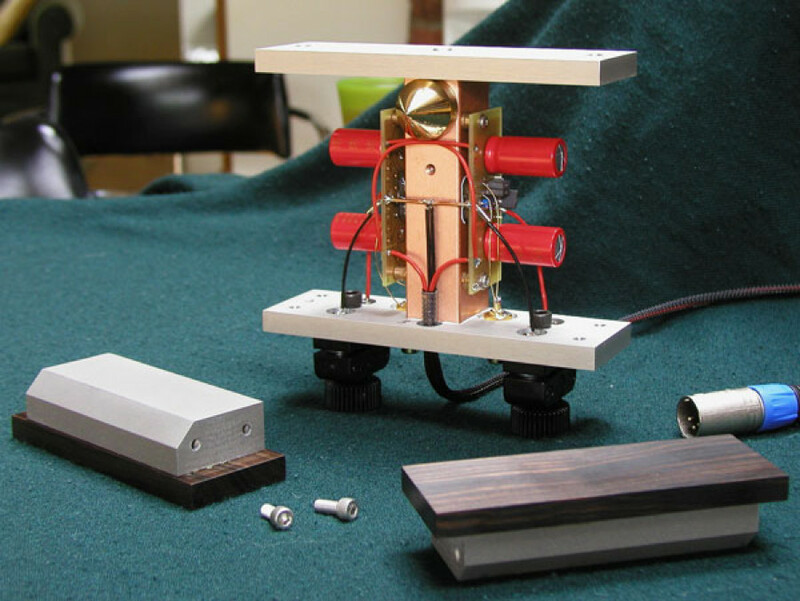 The metal components of amp chassis form an H shaped structure. Wooden side panels are added on the sides. 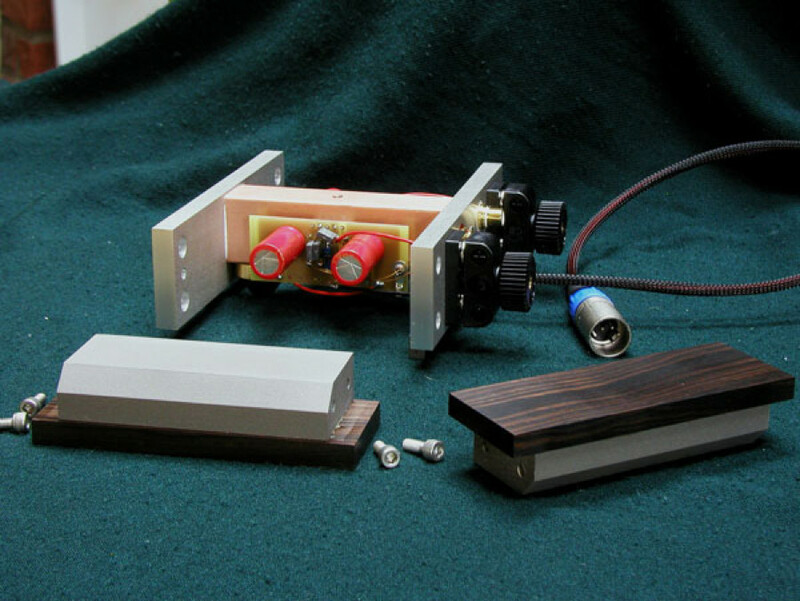 The sub panel is made of maple and is painted with conductive paint, the outer panel is Macassar Ebony and other wood choices are available as well. The umbilical power cable is attached permanently to the amp and is made of Cardas 18ga wire. Stainless steel screws are used to hold all the panels. 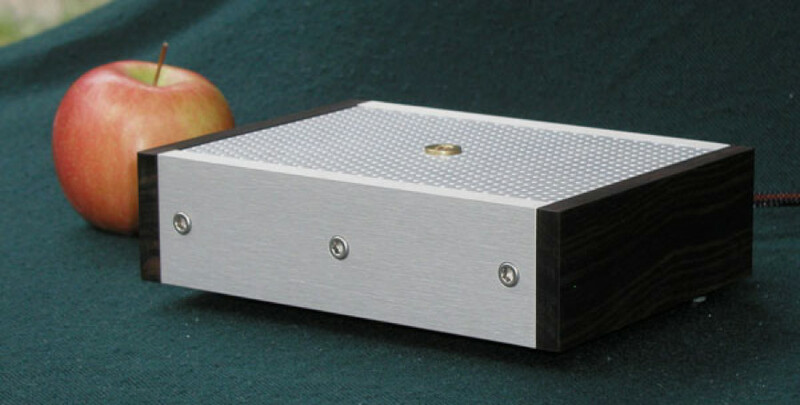 The amp is approx 6 inch wide, 4 inch deep and 2 inch tall. Solid aluminum panel covers the bottom and perforated mesh sits on the top. 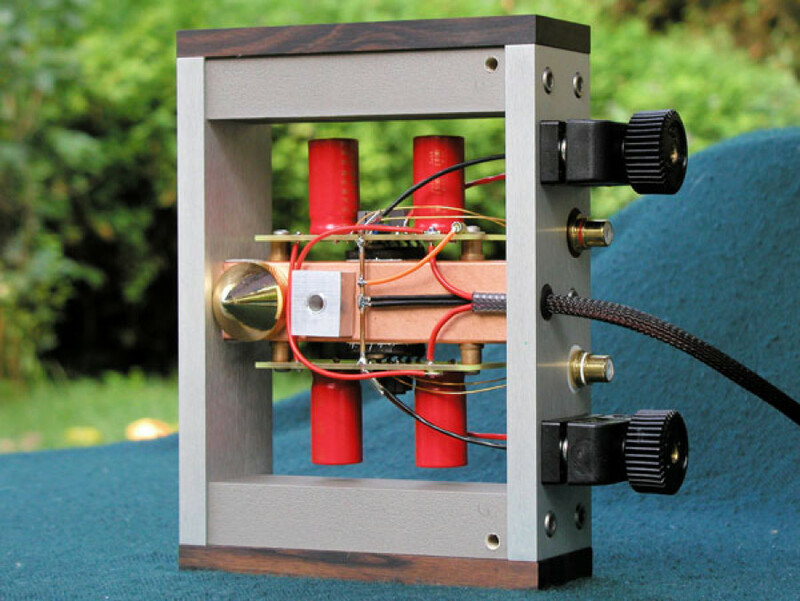 The amp is only as big as it needs to be to contain all the components. This was also beneficial for creating shortest signal path possible. 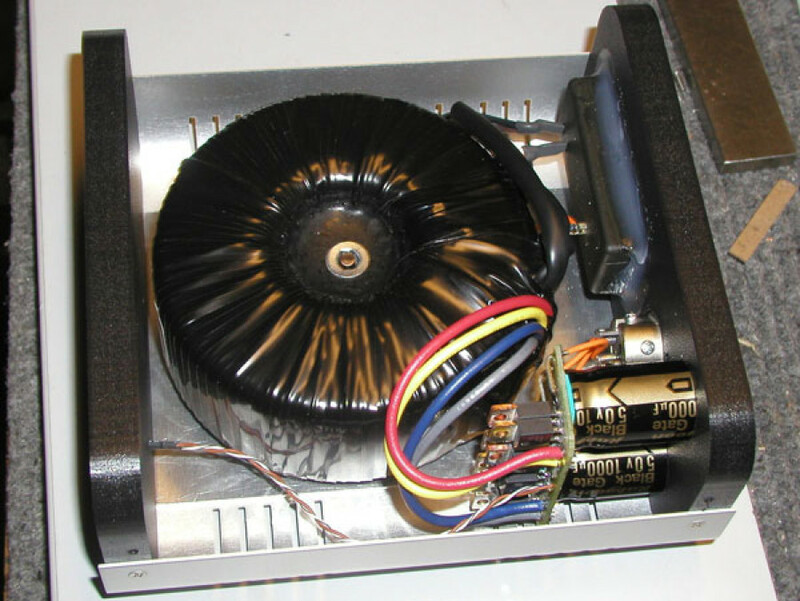 Power supply is built around 300VA toroid with additional filter capacitors. Those are Black Gate STD 1000uF. 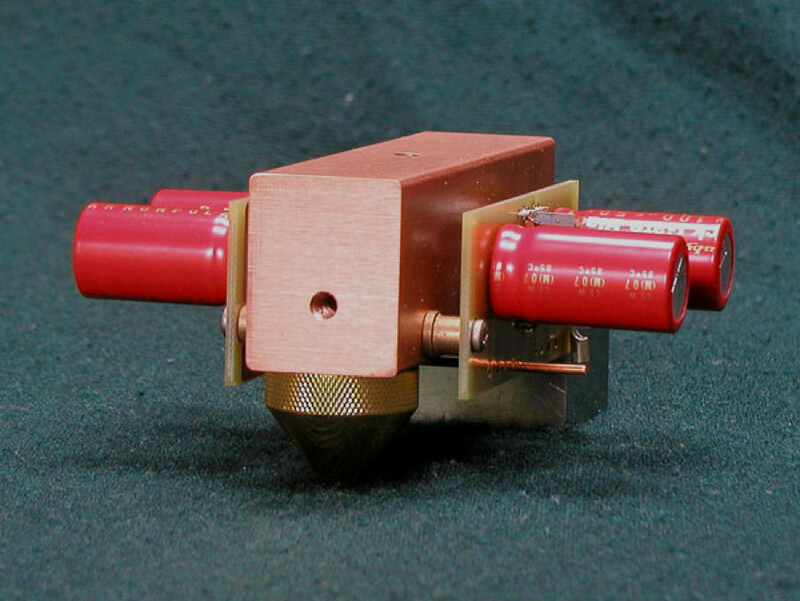 Rectifiers are MUR860. A single LED on front indicates power ON. Umbilical cable is approx 2 feet long and is terminated with Neutrik 4pin connector.